Mecmesin testing systems reduce environmental impact by improving packaging design. Mecmesin’s affordable, reliable MultiTest-xt top-load testers help manufacturers reduce material usage on containers such as PET bottles by improving packaging design and ensuring packaging integrity. Government regulations for environmental protection limit the amount of primary resource material used in single-trip containers. By using the results from top-load tests, manufacturers can find out if their containers can be made from less material to meet these standards: a process called downgauging. This reduces production costs and is important in reducing the impact on the environment once the packaging has become waste material. Top-load testing is also used to ensure the containers can withstand top-load crushing to prevent deformation or collapse of containers, reducing the amount of rejects and ensuring the containers are able to withstand the capping process as well as being stacked during storage and distribution. 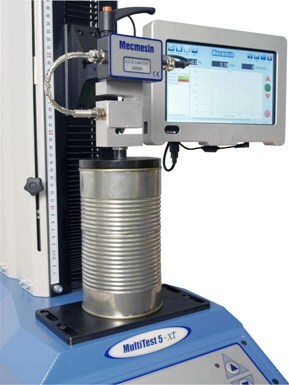 The testers, which are made in Britain, are operated by an easy-to-use touch screen and are ideal for fast and efficient testing on the production floor. They can map accurate compressive resistance profiles of many containers – performing max compressive load and free-height tests with just one machine which saves time, space and money. Mecmesin has just appointed a new Technical Sales Engineer, Robert Egginton, for customers in the north of England, Scotland and Ireland. 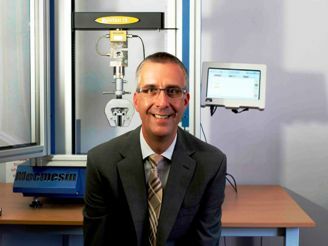 Robert has a wealth of experience having previously worked for over 20 years in the supply of QC equipment & services with Calibration Dynamics and Mitutoyo.